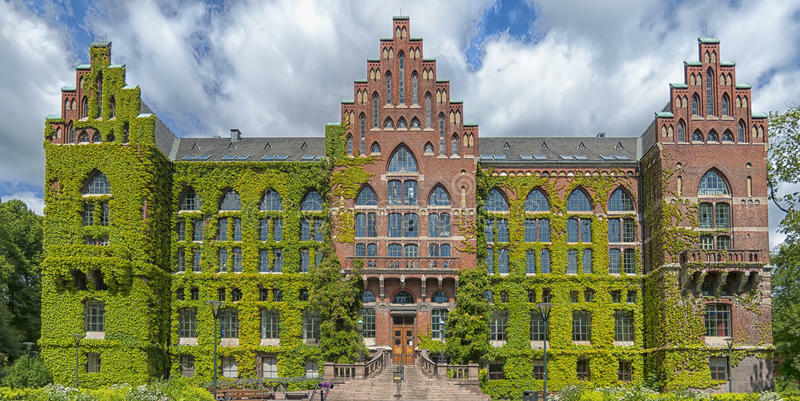 Lund University is pleased to invite applicants to apply for a new opening lecturer position in mathematics. The funds for this position are available for 4 years. All candidates regardless of citizenship are eligible to apply before December 09, 2018. At LTH, we believe heterogeneous groups contribute to create more creative environments - an important element when we together explore and create to benefit the world. We aim to be an attractive employer for candidates whose gender is underrepresented and we work hard to achieve equality at the Faculty of Engineering, Lund University. With this end in view, we are now making a long-term commitment to inspire more women to engage in male dominated research areas, and vice versa. We offer to all of our new and recently employed associate senior lecturers an appealing career program - LTH Career Academy - that will support the participants in their career path within academia and strengthen their teaching and leadership skills. The research group in Electromagnetic Theory at the Department of Electrical and Information Technology is active in research and teaching on electromagnetic phenomena and applications. In addition to a solid national and international academic base, the group has extensive industry co-operation with several adjunct professors working in the group. Teaching covers mainly electromagnetic field theory, circuit theory, basic electronics, antenna technology, radar systems, microwave technology and particle dynamics. Two major research centers based on particle accelerators are located in Lund, MAX IV and ESS, and cooperation with these regarding microwave technology for accelerators is of particular interest to this employment. Electromagnetic Theory forms the basis of electrical engineering and optics, giving the macroscopic description of the interaction between electromagnetic fields and material structures. The solution of Maxwell’s equations using advanced mathematical methods is central to this. The subject aims at a deep understanding of basic electromagnetic phenomena to enable good engineering practice. To achieve this goal, both theoretical, numerical and experimental methods are relevant. Examples of important applications are antennas, communication and radar systems, design of materials with specific electromagnetic properties, inverse diffusion and non-destructive testing, as well as microwave technology for particle accelerators. Consideration will also be given to ability to co-operate, drive and independence, and how the applicant's experience and skills complement and strengthen ongoing research, education and innovation within the department, and how they stand to contribute to its future development. A PhD or corresponding research competence or professional expertise considered important with regard to the subject matter of the post and the work duties it will involve. Demonstrated teaching expertise. Completed five weeks of training in higher education teaching and learning, or acquired equivalent knowledge by other means. Good oral and written proficiency in Swedish. Good ability to co-operate, independence and drive. Documented progression in scientific and educational skills. Ability to actively, independently and withpostive reviews seek external financing. Documented ability to teach, lead and organize courses. Documented ability to supervise students at master level and assist in the supervision of doctoral students Contribution to the educational development in the field. Ability to contribute to the development and renewal of the activities. Assessment criteria When assessing the applicants, special importance will be given to research and teaching expertise. A good national and international standing as a researcher. The requirement for international experience shall be assessed with consideration to the character and traditions of the subject. Good teaching ability, including a good ability to conduct, develop and lead teaching and other educational activities on different levels and using a variety of teaching methods. An ability to supervise doctoral students to achieve a PhD. An ability to collaborate with wider society and communicate his or her activities. A good general ability to lead and develop the activities.